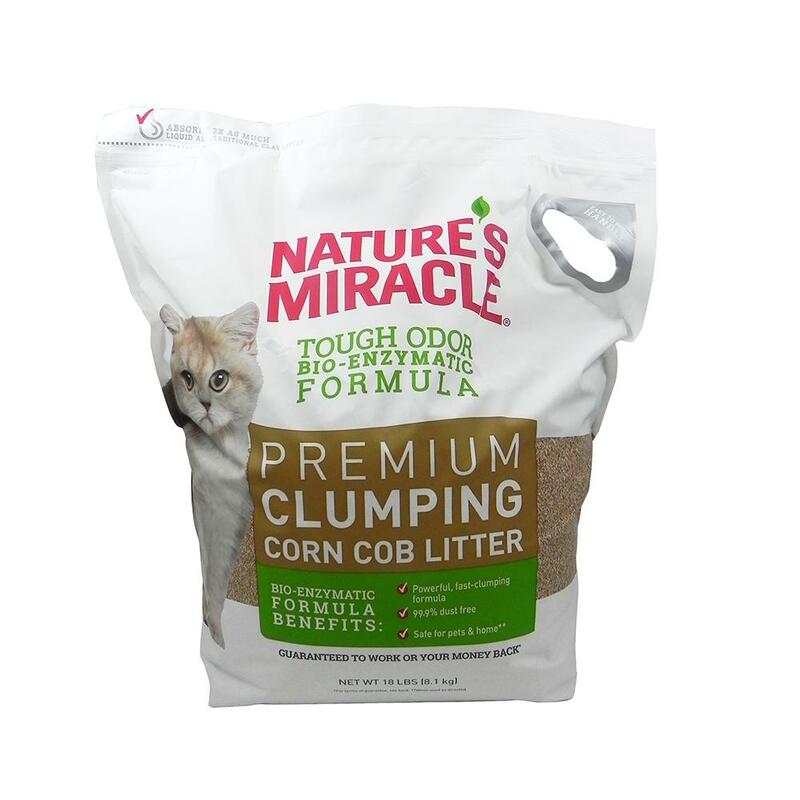 Nature's Miracle Cat Litter 18Lb. This all natural formula is blended with premium ingredients to achieve a superior clumping quality, making it easier to dispose. Our Natural Enzyme "Triple Action" Odor Control System is the most advanced formula with high absorbency, effective odor control, and long lasting natural fragrances. 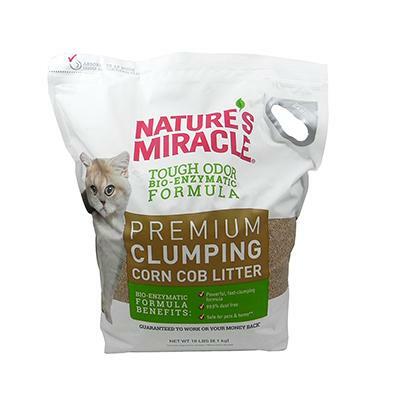 Natural corncob granuals immediately absorb over 2x the volume of traditional clay litter.